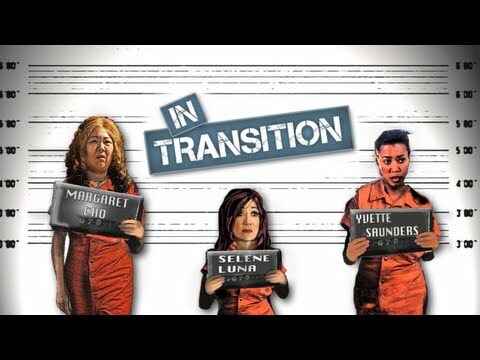 Margaret Cho’s first web series “IN TRANSITION” will premiere on Wednesday, July 3rd. Margaret stars in the lead role of Tawny Kim in this dark comedy series about a group of women recently released from prison. Getting out of jail is just the start of their problems. Stupidity wasn’t their only crime. Pay back’s a b*tch and she’s got two friends. They met their match and she’s double the trouble. They want revenge, but don’t ask them to spell it. Watch more Margaret Cho: Baby I’m with the Band, Asian Adjacent, Captain Cameltoe, Intervention, Eat Sh*t and Die, I’m Sorry, Lice, and Hey Big Dog. This entry was posted in comedy, shorts on June 9, 2013 by Kevin Hsieh - channel APA.